So you’re looking for the cheapest website builder? Bloggers and small business owners all need a great website. 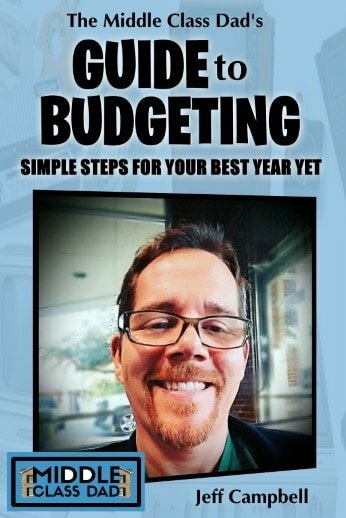 The trick is that many times we have a small or non-existent budget and just don’t have the funds (yet) to pay for the top of the line website and marketing services that the big names use. A great website can drive traffic to your business. It can also get you ranking well on Google search and ultimately can make (or break) your business. A bad website or going with the wrong company can prevent you from showing up in searches or have you collecting dust on page 8 in Google. So in this post, we’re going to dive in deep int the top cheapest website builder tips to get your website off the ground as inexpensively as possible. Specifically, I’m going to break down the cheapest website builder I use. I’ll look at exactly what I did in creating my website on a shoestring budget. I covered the technical aspects of building a website before, so if you want to know how to build your own website on a small budget, I highly recommend reading that post. But now, rather than the nuts and bolts, I want to talk about the different price options. I especially want to talk about how to keep costs down, so you can find the cheapest way to get a website up and running. 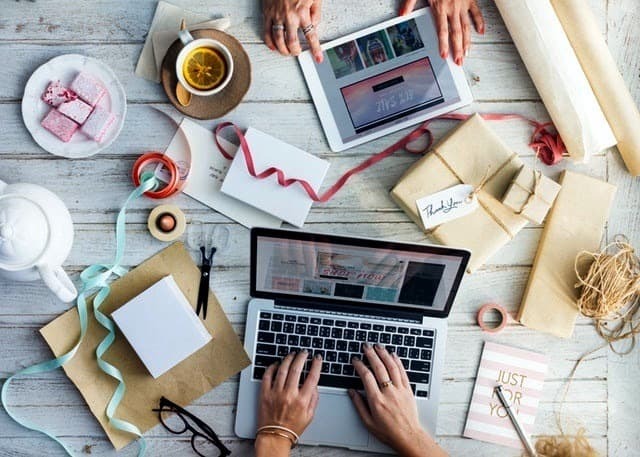 All of these moving parts can potentially cost you money and before you know it; you can easily shell out a lot of dough for your website. In this post, I’m not only going to look at the cheapest website builder but all of those components since they are all integral to a successful website. If you go with my suggestions, it’s also the cheapest way to get a website up and running and looking great. WordPress.org is the only choice I would make. There’s also WordPress.com which does allow you to make a site for free (in some cases), but often your website address (known as the URL) is something like middleclassdad.wordpress.com. Cumbersome, less memorable and ultimately less professional. WIX has been around for a while and was primarily seen as a competitor to WordPress.com. Lately it seems like they have been trying to get more into the professional website realm. I have seen some nice looking websites built on WIX. But ultimately for full customization, the best search engine optimization (SEO) and the ability to grow with your business, I would not choose any company other than WordPress.org which is what my website is built on. Not sure what SEO is or how to do do it for free yourself? I highly recommend you take a moment and review my top DIY SEO Tools and Tips. For web hosting, a key component for the cheapest website builder, most claim to offer monthly billing, but in reality bill annually. They like to show that price divided by 12 to emphasize how little it is per month. Since almost all of them do that, it’s best to get past the irritation of what (to me) seems like a bait and switch. Web hosting companies abound, as do terrible reviews of many of them. I looked for months, read lots of reviews (not all of which seem genuine) and checked Yelp where available. Eventually, I settled on Siteground. I’ve been very happy with them and have had no issues. They have been great for me and I trust them with you. They are also very well priced. I opted for their “startup” plan at $3.95/month (ie: about $50 bucks for 1 year). This includes the registering of your chosen domain name (the URL or website address). Learn more at my Siteground Review and really dig into why I think they are the best. Here’s my affiliate link for them. It gets you the best deal out there and I get a small commission if you use them. The next step for the cheapest way to get a website up and running is a theme! The theme of your website is simply the layout; the graphic design of the site. There are MANY themes that cost money. But there are also a lot of free themes. I looked at upwards of 50. I downloaded and tried about 20 and finally selected the one I have. As many as I saw that I didn’t like, I wasn’t convinced that by shelling out $50 (or more) for a theme I would love it. Thus, I went with a free theme and have been pretty happy. I may not keep it forever and I might consider upgrading to a paid version of the theme (which should allow for a lot more options). But for the cheapest way to get a website up and running, I would definitely suggest you start off with a free theme. I went with aThemes for my free theme. They have a ton of themes (free and paid) and have a style for almost everyone. It’s easy to upload a theme to your website and try it or preview it. Don’t like it, it’s easy to upload another and keep trying until you find one you like. As long as you’re using free themes, the only thing you’re out is your time. If you have a website, you should start an email list. A list is your best way to stay in touch with your followers. You can’t rely on sites like Facebook or Twitter. For one they may not be around 10 years from now (hello Friendster) or they may not be relevant anymore (howdy Myspace). Having your own website and your own email list means not having to rely on other companies (other than your hosting company) to keep going. To start an email list you need an email service provider. I’m not talking about the free email address you get with your website (ie: jeff@newmiddleclassdad.com for me). No, I’m talking about a 3rd party company that can create opt-in boxes, collect email addresses and sends automated emails after people sign up. Here is where you can get fancy (and by that I mean expensive). The cheapest email service provider that really delivers! If you listen to social media podcasts or have researched email service providers much you’ve probably already heard of the biggies. Drip, Infusionsoft or Aweber certainly seems to be the big two. I haven’t used any of those two due to cost. They may be fantastic, but at about $20/month for 1000 or 500 subscribers respectively, it wasn’t in my financial plan. After all, my blog has yet to monetize significantly and even at those relatively low rates, we’re still talking over $200/year for one small part of my website. Not the cheapest way to get a website up and running. Thus I wanted a free option that could grow with me. Initially, I used MailChimp’s free plan, then I switched to MailerLite which is free up to 1000 subscribers. I ended up leaving MailerLite for ConvertKit mainly because MailerLite had 3 major screwups that cost me time, money and subscribers and their customer service support team really only acknowledged one of those 3 and so I wasn’t convinced it wouldn’t happen again. ConvertKit was a bit of a learning curve and I haven’t always had great service (or fast service) from their support team, but luckily it IS a great program and there are a lot of YouTube tutorials from many different experts out there walking you through the program. Writing emails and automating sequences is honestly much easier in ConvertKit than MailerLite. Once I got the gist of adding forms and pop-ups, I’m pretty happy with those too, but MailerLite’s process for adding and creating pop-ups and landing pages is honestly better and easier. But after the huge headaches with MailerLite, there’s no going back for me. For me, switching to ConvertKit has been a huge part of my cheapest website builder strategy. Why would you want different email lists? 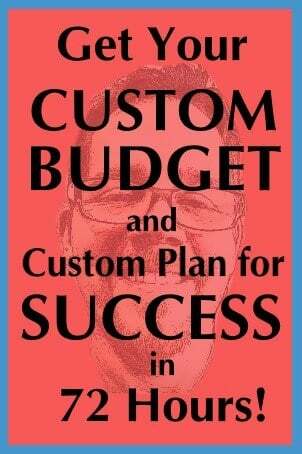 On my website, I have a lead magnet that offers a free budget worksheet. Thus I know that people who opt for that are interested in personal finances. They may or may not be as interested in my marriage or parenting posts. After all, my blog covers parenting, marriage, home stuff, personal finance, physical & mental health, and web stuff. All stuff that interests me as a Middle Class Dad, but definitely a wide variety of topics. Thus, when they opt-in there, they get a sequence of emails that are more geared towards the personal finance aspect of my blog. The beauty of having this automated is I write the email series once (but can edit them as needed whenever I like). Then they get sent automatically whenever anyone signs up. It takes zero time on my end, which frees up my time to work on other aspects of my blog. I also have an opt-in on my Facebook page, an opt-in page in the footer (the bottom part) of my website and occasional opt-ins on pages & posts. All of these collect email addresses, but I separate them into separate lists both in case I want to send different emails to different groups. But also I like to be able to see where people are coming from. If I see more people from Facebook than I do somewhere else, then I can focus more time and energy there. As a complete aside, as of Jan 10th, 2017, Google started penalizing websites with certain kinds of popups. Thus the email opt-in pop up I was using I got rid of. I do still use certain kinds of pop-ups, but I don’t overdo it and I always make sure the viewer can X out of the pop-up if they wish to. As I briefly mentioned above, a landing page is a sales page where you are trying to get your audience to take action. It can be a huge part of your cheapest website builder. But if you aren’t careful it can skyrocket your costs. Often it looks a little different than most of the pages on your website. Typically if your website has a sidebar, that would be removed from the landing page. The top menu might also be removed. When you have too many other distractions, that can cloud your message. They aren’t there to find your social media links. I would also say this page doesn’t need your latest posts. You also don’t need an opt-in box unless that is what they click to take action. You want them to take the action you want them to take. Everything else is a distraction. The best tips on writing the types of messages that appear on landing pages come from master copywriter Ray Edwards. To use a grocery store analogy since that was my former life, places like Trader Joes are successful why? Because they don’t sell 25 kinds of pasta sauce or 15 different mustards. They usually just have between 1-5 in most categories. They make deciding easy because they remove the distractions. Do you want Dijon mustard? They probably have 1 kind. Thus you either buy it or you don’t. You don’t get bogged down trying to decide between 15 different types of Dijon mustard. Why wouldn’t you want options? Because indecision can often lead to NOT buying at all. Your landing page for your cheapest website builder should be no different. Landing Pages are also something that can totally blow your budget! The best-known company providing landing pages is probably Lead Pages. Their cheapest program is $25/month. Before you know it, your cheapest website builder is now costing you well almost $2,000/year. And who knows? It might take you a year or 2 before you can even begin to generate enough cash just to cover that expense. I’m not knocking any of these companies. They look fantastic and seem to be highly regarded. I may well be using all of them in 5 years. But for right now, I need the cheapest way to get a website up and running. New bloggers and small business owners just don’t have the $$ to throw at my blog in the hopes of making enough money quickly to cover that kind of cost. If that’s where you are, then you’ve come to the right post. So for now, I’m going to suggest you create landing pages just by creating pages in WordPress and removing the sidebar. When you create a new page, off to the right you should see a drop-down menu for template. One of those (could vary by theme) should say something like “full width”. That will remove the sidebar. Alternately if you go with ConvertKit as I mentioned above, they have lots of landing pages to choose from. You can see an example of one of theirs I am using right HERE. What are social media scheduling programs? Social media schedulers are web-based programs you can use to automatically schedule posts from your blog (or elsewhere) to post to the top social media sites like Facebook, Twitter, Pinterest, LinkedIn and more. If you don’t already know, social media platforms all have optimum times where content is posted. Post your greatest blog ever on Facebook at 2 pm and fewer people will see it then if you post it at the optimum times. To make it more complicated, the optimum times for Instagram, Twitter, Facebook and others are different. In fact, all major social media platforms have different days and times that are optimum for reaching the most people on their site. What are the optimum times? Most social media platforms allow you to see analytics about when people are most active on your site. Also, know it can vary a lot depending on what country or time zone your followers are in and the niche your business is in. After all, a bartender training website will likely have very different people than a toddler training website. So know your audience and know when they are online. Unless you plan to sit at your computer all day, you will need to use a scheduler that will work seamlessly with your cheapest website builder. There are a lot out there. A few are free, many are not, and none (in my opinion) are perfect. However, I do have a few suggestions based on my trial and error. And my suggestions are perfect for the cheapest way to get a website up and running! The best social media scheduling programs to use with your cheapest website builder! HOOTSUITE – This is the program I use to schedule all my Instagram, Twitter and LinkedIn posts. I use the free level. The paid levels start at 10 bucks a month and I may eventually upgrade to that. Right now I can schedule dozens of posts weeks in advance. They have an “auto scheduler” function that supposedly chooses optimum times but currently, I choose my own times. The biggest reason I can see to upgrade is that some of my more generic recurring posts (mostly on Twitter) I could schedule once and have it repeat at the same time other days. With the free plan, I have to manually schedule each one. Hootsuite can also work for Facebook and many other platforms. Since Facebook business pages (sometimes call fan pages) allow you to schedule posts directly from Facebook I just schedule those posts right on Facebook. I have a complete Hootsuite Review you should check out if you’re considering it. Tailwind – This is who I currently use to schedule Pinterest posts. Pinterest is my #2 source of traffic after Google and unless I’m paying for ads on Facebook. Thus I make sure to do Pinterest right. Depending on the type of site you have, Pinterest traffic can be huge and Tailwind makes it easy to schedule those pins in advance (useful since much of Pinterest’s peak times are later in the day and evening). Pinterest also has some complicated algorithms, so (for instance) the first 5 pins you post each day get shown more, so making sure your best pins are first is huge. But it’s not first starting at midnight, it’s midnight UTC. So for me in the US and in Central Time, that’s 7 pm. I have also tried Buffer, and ViralWoot, but did not care for those as much, but most offer free trials so check them out and see what works for you. I also used to use BoardBooster for Pinterest but they recently shut down after a conflict with Pinterest. Then begin to add other services as your business grows and you can add additional costs without destroying your budget. Need Help with my cheapest website builder tips? Feel free to email me with questions or post comments (I reply to all non-spam comments). But I am also available to build your website for you. The cheapest way to get a website up and running is definitely how I built mine and I can do that for you too. The technical side of building a website isn’t for everyone. The steps can be draining, time consuming and frustrating. I get it. I’ve done it. I’ve been there. But I can get your website up and running quickly, affordable, looking great and ready for your amazing content. All you have to do is focus on the creativity behind your ideas! Comment below or email me any questions, but if you know you need help, I’m here and ready and won’t blow your budget. Satisfaction guaranteed! I appreciate you being here and taking the time to comment! If I can answer any specific questions or help with anything, please let me know!